The Medieval fantasy period refers to the "Dark Ages" or "Middle Ages" where knights, monsters and wizards were all common folk. On World of Medieval you can see the various kinds of Medieval based RPGs we offer. 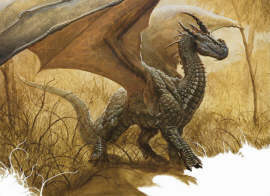 Dragons have always been a big part of Medieval Lore. 1. In-house Custom - We are always looking for enthusiastic Players and experienced Game Masters. Start here: How To Find The RPG That Fits Me? 2. Start Your Own - Are you a Game Master? We have some features that allow you to use our Forum to start your own Scenario. You can also use our script to do battles if your game is not all text. To start your own read: How To Be A Game Master. 3. Start Now (MMORPG) - This is for those who may not want to role-play fully. It allows you to start right away after registering. See: Ruler of Kings.